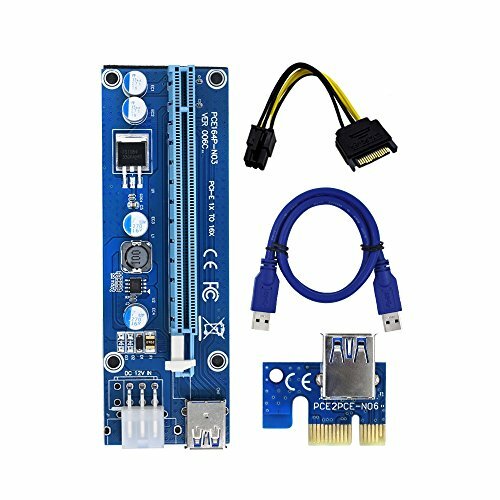 1x adapter PCI-E card can be inserted in any PCI-E Slot: 1x, 4x, 8x, or 16x. Board size: 13cm x 4.4cm x 1.2cm. 1x PCI-E 16X riser board. 1x PCI-E 1X adapter card. 1x 60cm USB 3.0 cable. 1x 6-pin PCI-E power to 15-pin SATA power cable.